Any Porsche owner will tell you that its much more than just a car. It’s a work of art. Whether you drive it each day or store it in a temperature controlled room with laser security we share your passion. Bring us your beloved masterpiece and we will prove it. With a firm belief that the Porsche motorcar should remain as true to its original form as possible we are supremely confident that you will be nothing short of impressed with the craftsmanship of our service. When it comes to this european beauty there’s nothing that we can’t handle. 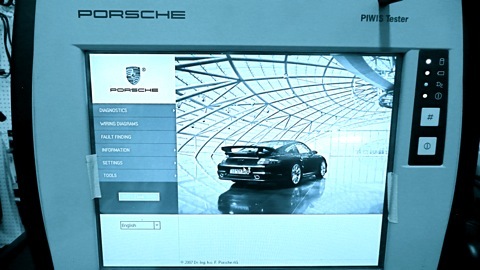 - Other than the dealer, European Performance is the only shop in the area that uses the Porsche factory diagnostic equipment. This allows us to quickly and efficiently diagnose and, if necessary, replace and reprogram control modules. - With over 20 years experience, you can rest assured that your power plant is in very good hands. We have all the necessary special tools and equipment, not to mention a dedicated engine room, to get the job done right. - Wether its a quick tech inspection before heading to the track, or a more involved "upgrade", we've got you covered. Tire mounting and balancing, suspension and brake upgrades, racing seats, roll bars, alignments, lightweight flywheel and pulleys, and much more. * We recommend replacing the coolant once every 2 years. 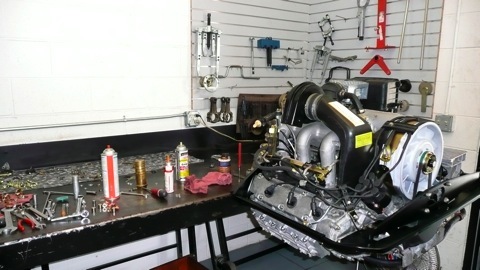 - Engine: Visual inspection for leaks. - Cooling and Heating System: Check for leaks, condition of hoses and fluid. - Coolant Hoses: Check condition and tighten connections. - Crankcase Ventilation: Check tightness of hose connections. - Intake Air: Check hoses, lines, and connections for tightness. - Brake System: Visual Inspection for leaks, damage, corrosion, worn pads and rotors. - Clutch: Check for wear or play and adjust if necessary. - Steering Gear: Check screw connections for tightness. Visual inspection of the bellows for damage. - Suspension: Check play, tightness, and dust caps. - Power Assisted Steering: Visual inspection for leaks, check fluid level and top off if necessary. - Wheel Bearings: Check play and adjust if necessary. - Transmission: Visual Inspection for leaks, check oil level, and top off if necessary. - Drive Shafts: Visual inspection of sleeves for leaks and damage. - Exhaust System: Visual inspection of the exhaust system for leaks or damage. - Tires: Check condition and correct tire pressure. - Door Arrester (latch mechanism): Check operation and lubricate. - Check Door , Engine Hood locks and safety hooks on front hood for tightness and function. - Seals for doors, hood, and roof: Remove abraded rubber, apply suitable agent to seals. - Check Operation of vehicle lighting. - Throttle Actuator: Check for smooth running. - Washer System: Check function, check fluid level, and nozzle setting and adjust if necessary. - Battery: Check fluid level and top off if necessary. - Check operation of all electrical equipment. - Check operation of Heater, ventilation, and air conditioner blower. - Check tension and condition of timing (and balance shaft) drive belts. - Automatic Transmission: Change ATF, clean ATF strainer.